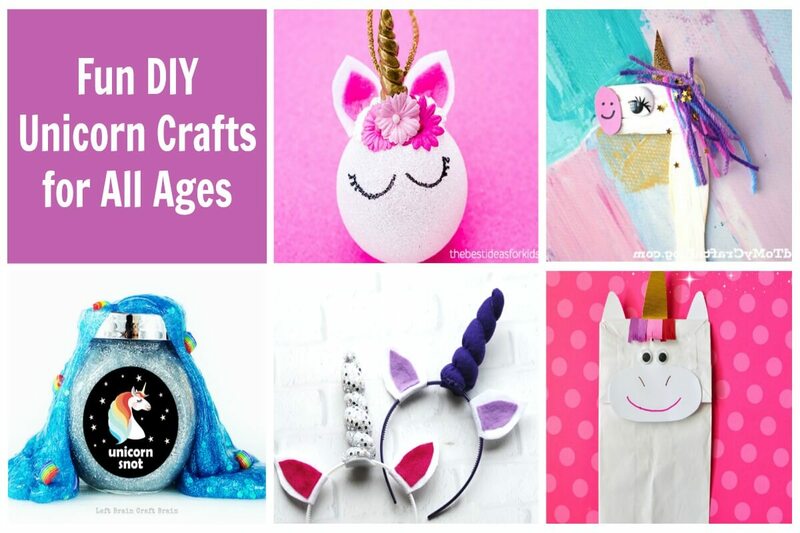 These are 10 of the most magical DIY unicorn crafts for kids out there. But let’s just be honest – adults are just as excited to get started crafting these simple cuties! There is an affiliate link for the unicorn headband we bought which means, at no additional cost to you, we could receive compensation for our recommendation. You can read our full disclosure policy. Design a Light-Up Unicorn Horn Craft with Squishy Circuits – A little STEM fun for everyone. Unicorn Ribbon Ring – This is such a huge hit with the kids and it’s easy-peasy. A Unicorn Craft – This one includes a free printable and a tip to make them less wobbly. My daughter liked these. 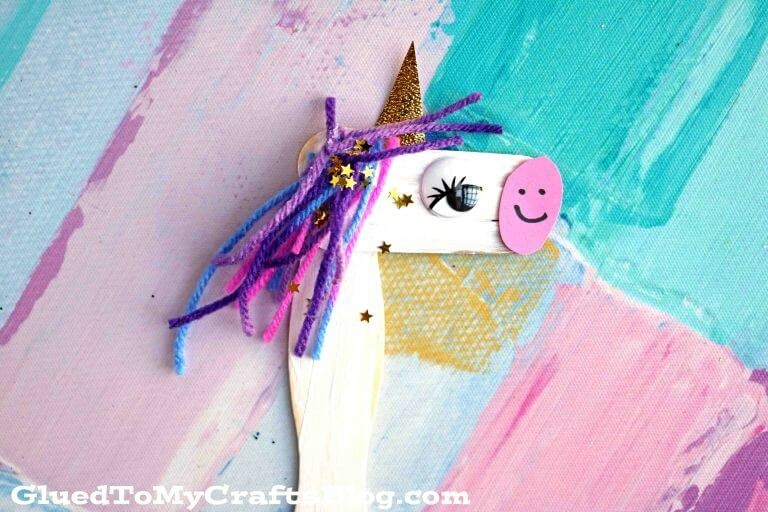 Craft Stick Unicorn Puppet – The little one is ooh-ing and ahh-ing over this which means we’ll be making them in less than 5-minutes. Rainbow Unicorn Mobile – Oh my goodness, this is so cute. 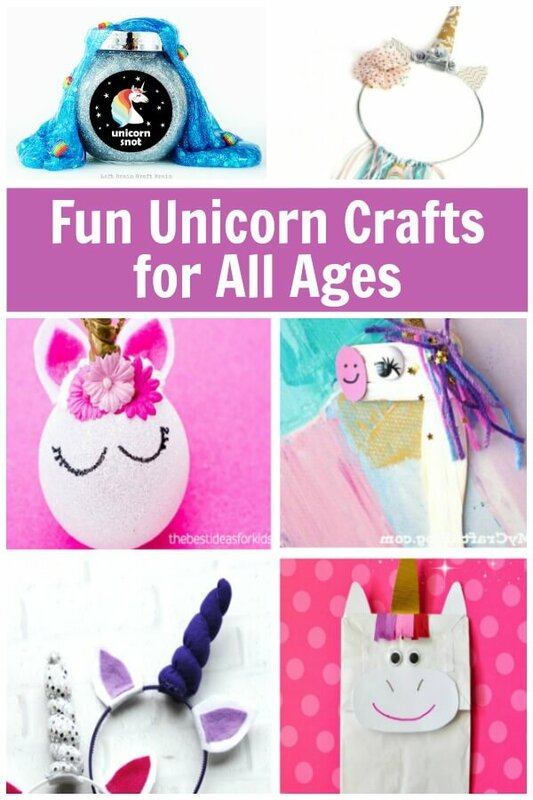 It’s one of my favorite unicorn crafts on this list (you can color it)! 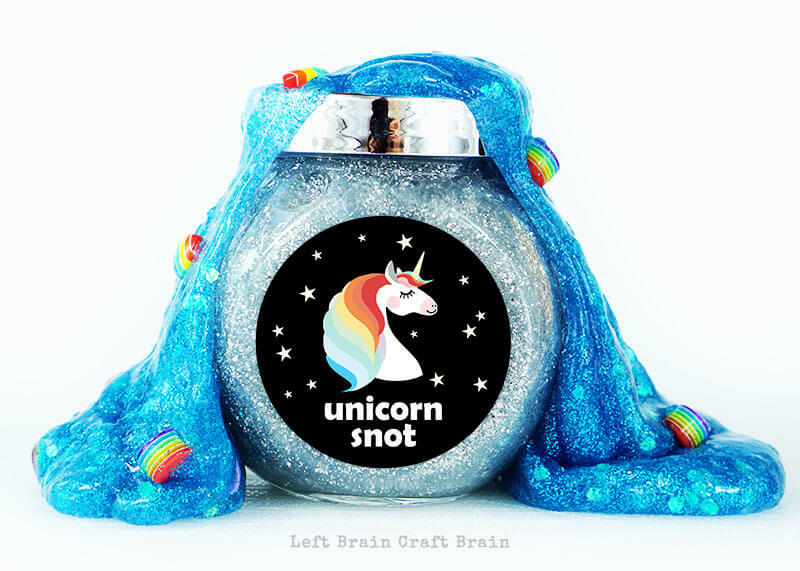 Unicorn Snot Slime – I snickered for 5-minutes after coming across this unicorn slime. Snot slime. Unicorn snot slime. Magical snot slime. Okay, I’ll stop. Unicorn Horn Craft Is it weird to admit that, as a grown woman, I’m really excited to make one of these for myself? 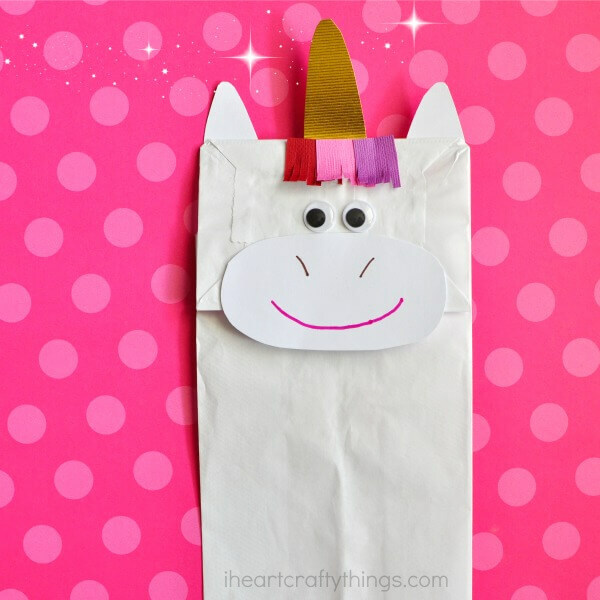 How to Make a Paper Bag Unicorn Craft – I ran out of paper bags (we made too many puppets) and am crying unicorn tears right now. Unicorn Ornaments – I don’t think it’s necessary to wait for the holidays to make these adorable unicorn ornaments. It’s occurred to me to scurry off to make one right now. 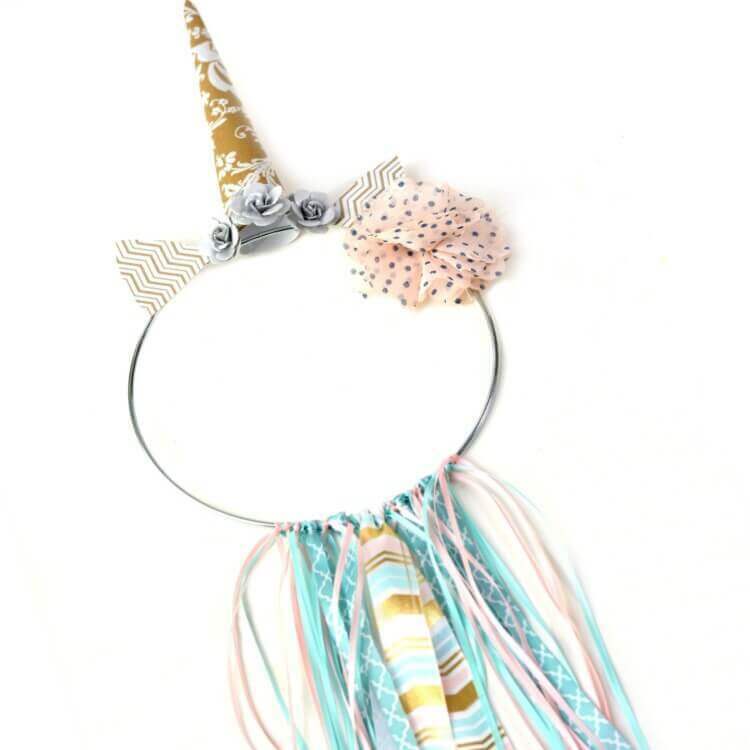 How to Make Unicorn Horn Headbands – These are adorable. 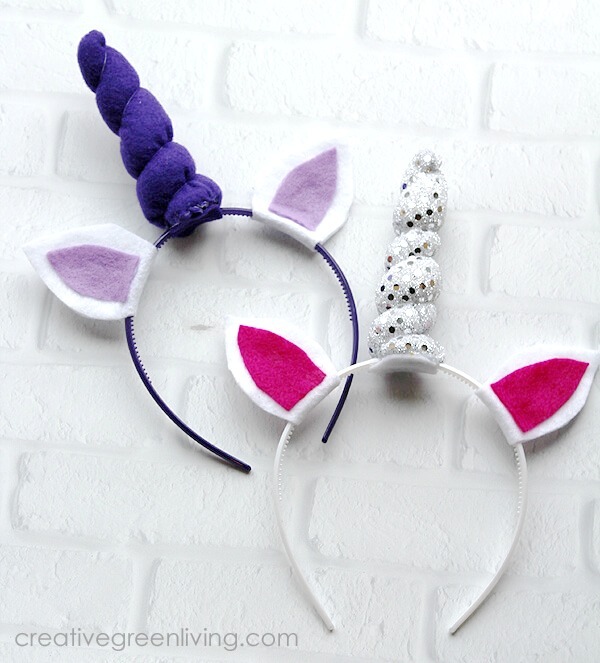 If you want these but want to buy them, here are the unicorn headbands we bought (#lazy).